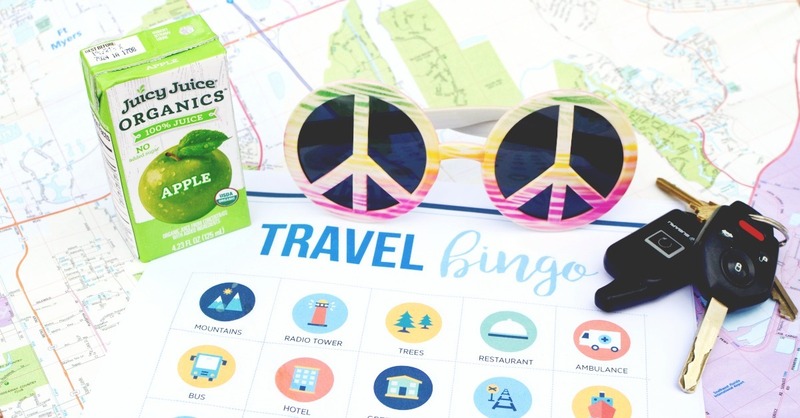 Thank you Juicy Juice for partnering with us to help parents plan a Rockin’ Family Road Trip where they can take a break from the busy of everyday life and enjoy 100% family time. Close your eyes and let’s take a step back into your childhood. Picture your old family car. Maybe it was one of those totally stylin’ station wagons with the wood paneling or perhaps you were part of one of those first forward thinking families to own a mini-van. You, your brothers and sisters and possibly even the family dog are all piled into the back. Shoes off, legs all tangled up with one another, and each of you sporting a pair of headphones listening to your favorite music on your walkmans. Your mom just ran back into the house for the eighth time, because she’s still not sure she turned off the coffee maker. You know, because they don’t automatically turn off yet. Your father sits exasperated in the front seat listening to a ball game or something quaint like that on the radio. He’s mumbling under his breath and wondering if you’re ever going to get on the road. Finally your mom hops into her seat and your father revs the engine, slams his foot on the gas pedal and peels out of the driveway squealing the tires as he goes, hoping to keep her from thinking of something else she may have forgotten. And so the adventure begins, your annual family road trip. Whether a parent during times gone by or today’s more modern variety, the non-stop “Are We There Yet” chorus from the backseat is always the most stressful part of hitting the highways with kids, no matter their age. Technology has helped to make traveling with pint-size people a little less painful. Now that you can serve up Disney movies non-stop or they can play games on their various handheld devices, life is certainly more peaceful on the road. But remembering our childhood family road trips, somehow we all survived and even had fun without all those fancy gadgets. Talk about the good old days when a game of iSpy could go on for an hour or a pad of mad-libs would even have dad laughing out loud. That was family bonding at it’s best. If you’re hitting the open highways with your crew, why not turn down the tech, at least for part of the trip. Try some of these awesome activities, both throwback and new fangled. They’re guaranteed to help you create that quality family time that’s so hard to come by these days. No road trip is complete without some tunes and a family sing-a-long. I will never forget belting out the lyrics to “Take Me Home, Country Roads” by John Denver on our yearly summer trek to stay at the Jolly Lodge in Northern Michigan. Every time I hear that song these days (which admittedly isn’t very often), it brings back such great memories. Now, if you have littles, the music they love to listen to might not exactly be your jam. I mean really, how many times can we listen to the Moana soundtrack before losing our minds? But this is exactly why you need to seize this opportunity and introduce them to some real musicians (probably not John Denver) . Oh, and let us not forget…. Talk about a blast from the past. 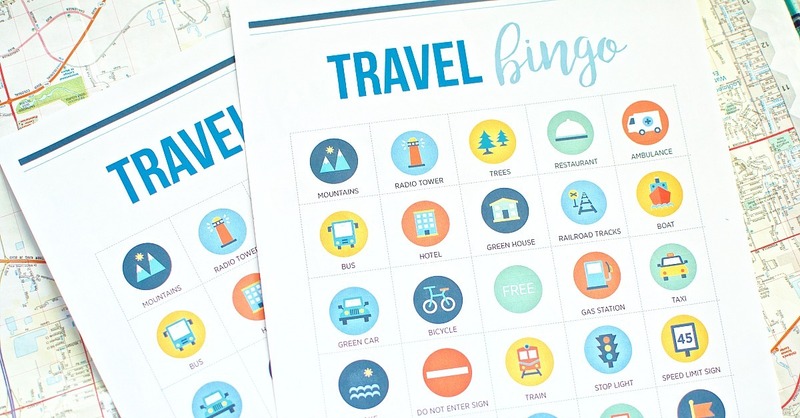 Who had those crazy little travel BINGO cards with the little red windows that slid open and close? Those were the best! My brother and I could keep ourselves busy for a crazy long time just trying to see who would get to yell B-I-N-G-O first. Believe it or not the old fashioned version is still available, BUT why not save yourselves some gas money and use our FREE printable version instead. Hey, it’s okay to acknowledge progress as well as the invention of Amazon.com. There are some pretty cool new additions to all the retro games we grew up with. There is no better time than in the car to encourage your kiddos to rediscover all the adventures one can find in a book. If you’ve got kids who are already bookworms and you’re looking for something new, we’ve got tons of suggestions for kids ranging anywhere from pre-school to high school. Or if you’ve got more reluctant readers, consider picking up a couple books in an engaging series and read them out loud as you go. My mom used to have series the we only read when we traveled, so we could hardly wait for our next family road trip to find out what was going to happen next. Audible versions of books are also a great way to pass the time. Some of the narrators are so dynamic, you may be surprised to discover your kids actually can listen to something for more than half a second. If you want to save a little money, most libraries actually have decent selection of books on CD and since we’re going old school this totally fits. This may sound like I’ve gone a little bit crazy, but car trips can be a fantastic opportunity for conversations. Here is your chance to really find out what is going on in your kids lives, they’re cornered with nowhere to go. But maybe they aren’t as chatty as you’d like or they’ve suddenly decided this is the time to tell the longest joke with no punchline in history. You can help guide things along with the Table Topics On The Road Edition. 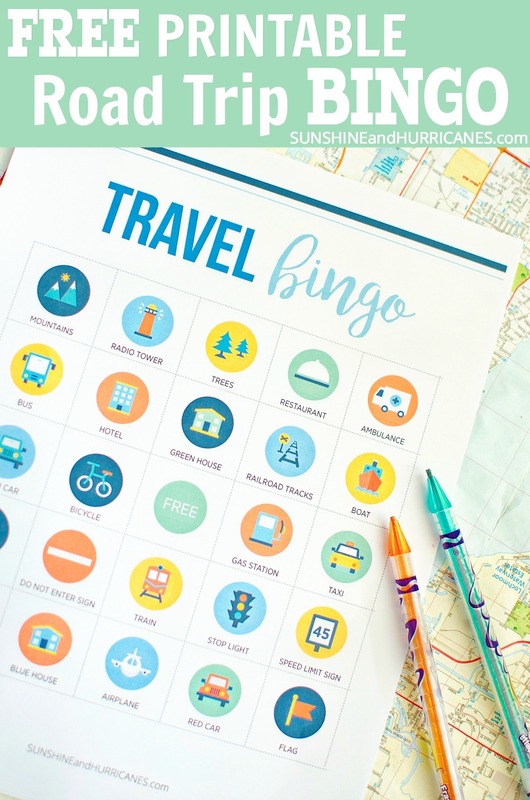 You better come prepared, because without sufficient supplies you will soon find your family road trip taking an unplanned detour down the hangry highway! We’re so serious about this topic we actually devoted an entire other post to nothing but Road Trip Snacks. Along with things to munch on, don’t forget the drinks. 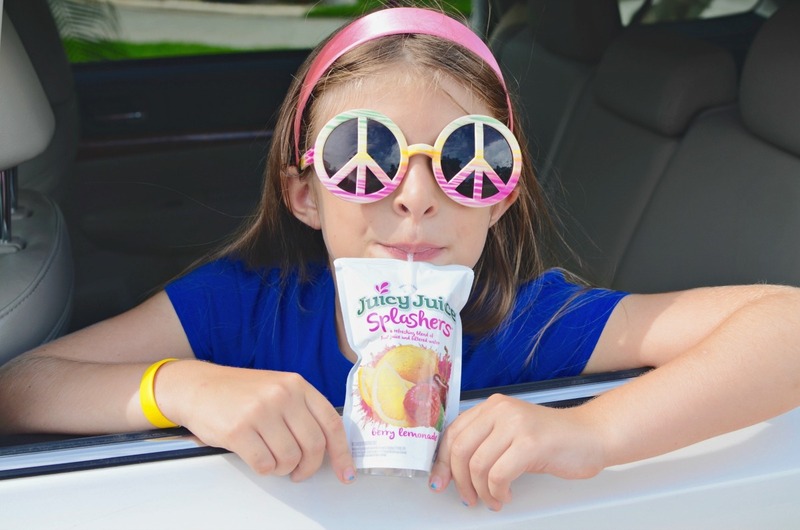 We’re fans of Juicy Juice Splashers for our older kids, because they have 50% less sugar than many other juice brands and the pouches are a perfect no mess option for on the go. If you’ve got littler ones, then you’re going to love the Juicy Juice Organic Juice Boxes. First, because you can feel good about giving them a healthier option and second because they are just the right serving size to satisfy their thirst without leading to lots of unexpected potty stops along the way. Juicy Juice’s products are all about helping busy families find ways to carve out 100% family time and that is exactly what you’ll get on a family road trip. As far as I know, this was an invention of necessity devised by my mother to save her sanity due to the sheer amount of time we spent in the car traveling to see our family that was scattered from coast to coast. The fact that she thought this up before the existence of Dollar Stores is what really impresses me. She would spend weeks collecting inexpensive trinkets and treasures and then she would wrap them all up. Along the trip, when my brother and I would start to get particularly restless, she’d let us each choose a mystery item from her secret grab bag. All of the items were intended to distract us for at least a little while and included; coloring books and crayons,non-messy craft items, joke books, brain teasers, secret decoder pens, stickers, and even small toys like action figures, cars, stuffed animals and dolls. Okay, lets be real. Nostalgia is only going to get you so far, especially on a really long family road trip. There should be no shame in handing over the tablet or turning on a DVD when it looks like the bonding may start to turn into battling. Plus, there is no reason that the fun can’t also be educational. There are so many high quality apps available for kids these days where they can really explore all kinds of interests. If you’re looking for some ideas, we’ve got tons of suggestions in our Best Apps for Kids post. Do you ever find yourself pointing out interesting sights as you are driving along in the car, but your kids are so busy with their head downs doing whatever it is they do on their devices that they can’t even be bothered to look-up? They miss so much of the world this way. There is something to be said for letting kids be bored. You never know what might happen if you simply allow them to do nothing and just stare out the window. Idleness can stir their imaginations allowing them to figure out new ways to entertain themselves, or who know, they might actually discover the wonders that are all around them if they are simply paying attention. 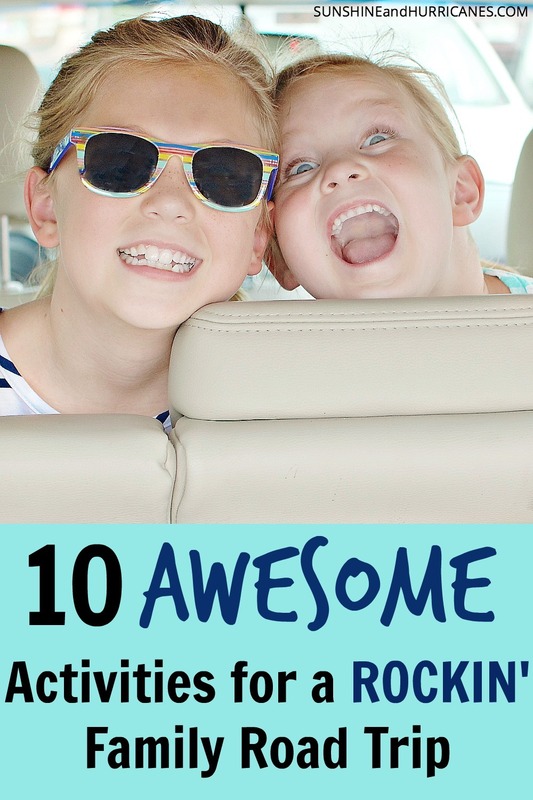 What is your secret for a Rockin’ Family Road Trip?